My first Google Adsense earning for 2012. It took me four months to get a pay check from Google. 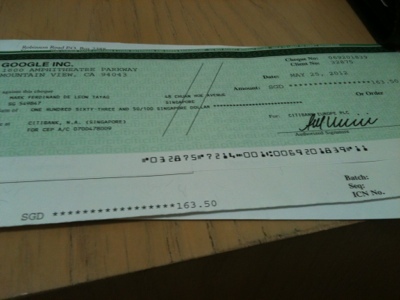 A total of S$163.50 from January to April 2012. Thank you Google!